For all those of you reading the blog entry and know me already would know that I’m incomplete without Jagjit Singh. For those of you who don’t, now you know! Jagjit Singh has been a passion in my life since the early days of my youth. I have enjoyed his music like any other person. May be one step further. I am a fan – an avid fan, a religious fan! Jagjit Singh’s music and choice of poetry has inspired me throughout my life. Now that he is gone, I miss him very much. I have always tried to attend his concert while he came to Calcutta along with Ghulam Ali. I remember the concerts which I attended alone and with friends. I used to literally drag my friends. Everyone in my family knows that I am passionate towards his music. Any song of his on tv, my parents would call me immediately. Any concert advertisement in the newspaper, everyone would call and inform me! The first ever concert that I attended was in an open air auditorium in Calcutta called Nazrul Manch. I still remember dressing up and parking my first bike and entering the concert. I had only come to listen to Jagjit Singh but Ghulam Ali started first so obviously everyone had to wait. I have great respect towards Ghulam Ali as well, but lets just say Jagjit Singh is my favorite. Jagjit Singh always sat on a chair and never flat on ground/platform. The stage had to be re-designed immediately. It was such a pleasure. He performed magnificently! Jagjit Singh was a real performer. When he saw his audience were a bit bored in between, he would then change the tune into a bit hip hop tip tap number and everyone would be back with him. At other times, he just cracked some joke on stage. His logic was that people have come to get entertained and its his duty to entertain them either by music and if not, may be some joke in between. What he delivered was worth all the money spent. 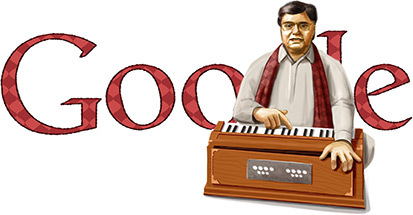 Jagjit always had a smile on his face. He was always jolly. Always cracked jokes even when someone went for an autograph. I remember taking his first autograph and I was surprised that he was a little short height-ed man. I never looked on TV but he was about in between 5’4″ or 5-8″. I had once even visited the hotel he was staying and even talked to him on phone and have even written several fan letters to him. I had lots to say to him but then when he was before me, I fell short of words. I often remember his Ghazal’s words “Chaha tha ye kahenge, socha tha wo kahenge. Aaye jo saamne jab, kuch bhi na keh sake bas dekha kiye unhe hum” – (I thought I’d say this, I thought I’d say that, but when he came in front of me I fell short of words and just kept looking at him). I remember once of his concerts where he had come from Delhi and one wouldn’t believe what had happened before. Jagjit Singh’s mother had expired and he came to the concert after finishing the final rituals of her own mother. As soon as the event organizer Mr Badal Dhar Choudhary heard about his mother’s death, he wanted to cancel the show, but Jagjit insisted that he would still perform. The show must go on… This kind of a person is Jagjit.. I just feel I miss him terrible now. I only have his memories from the past songs but I still miss his concerts and although he may not be there, but his songs are always on my lips..
A long time has passed since his death, but I still remember him. That on every small thing he would say this and that and what if and what if not.. This entry was posted in All Blog Category on December 10, 2012 by Hussain Fakhruddin.